GeBBS Healthcare Solutions is selected to Modern Healthcare’s 2017 Largest Revenue Cycle Management Firms list. GeBBS Healthcare Solutions has a ready-to-deploy customizable coding audit compliance solution. For the third consecutive year, GeBBS has been selected for the IAOP® Global 100 Outsourcing List. GeBBS Healthcare Solutions is honored to be recognized for the tenth time by Inc. Magazine for being among nation’s fastest growing companies. The last decade of health care management has seen a tremendous increase in regulation, in the face of burgeoning technological advancements and desire for patient quality of care. What was once a profession focused solely on improving the health of each patient has often evolved into a hybrid operation in which patient outcome and satisfaction is balanced with the need for maximum efficiency. Essential to the success of both the patient experience and the financial health of the enterprise is an efficient health information management system (HIM). Organizational accuracy within a health information management system allows the facility to function smoothly without unnecessary, frustrating, and costly interruptions in workflow. 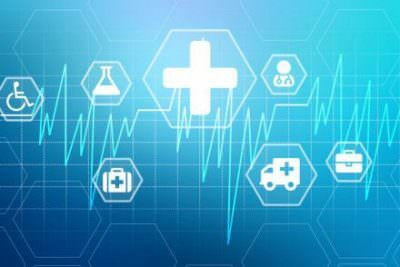 As health information management continues to play a greater role in the overall structure of healthcare businesses, many of them will cycle through multiple vendors and systems before they settle on the one that best fit their optimal operations model. At GeBBS, we understand the need to facilitate access to electronic health data both in medical coding and auditing while protecting the privacy and security of all health information. Our evolving role as the data steward has made us a reliable partner to many of our clients. Any system is only as good as the people who manage it. The healthcare information management professionals at GeBBS are credentialed and trained in the latest HIM applications and apply this knowledge to improve the workflow in any healthcare provider organization. As an integral part of your enterprise, our healthcare information management team maintains HIPAA compliance to the necessary standards of confidentiality and accuracy to ensure that all health information is timely and protected. As a leading national provider of revenue cycle management (RCM) and health information management (HIM) solutions, GeBBS delivers a world-class infrastructure of highly skilled professionals, robust processes, and proprietary workflow engines to help creates an ideal partnership for our clients. Our in-depth healthcare industry expertise creates end-to-end solutions to successfully resolve health information management challenges, while enhancing the overall business operations of our clients. For more information on how GeBBS can become your strategic healthcare information management partner, call (888) 539-4282 or click here to contact us online.